Time, weather events and daily exposure to UV rays and temperature fluctuations definitely impact roof systems. Among other things, deterioration shows up as cracks and splits in the membrane, laps peeling back, and fasteners backing out. Tearing off a roof is an expensive, labor intensive, time-consuming, disruptive process, but you may have a much better option. 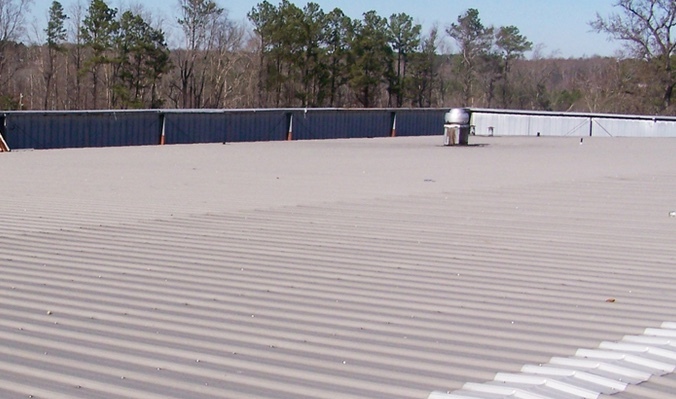 Armadillo Roofing & Exteriors restoration systems deliver customized, seamless protection that defends against UV rays, temperature extremes, ponding water and other major threats while offering substantial savings over tear-offs. Armadillo Roofing & Exteriors has been successfully working with facility managers, building owners, and property managers since 2001. Our technical expertise and dedication to our customers have afforded us with the reputation as “The Roof Restoration Experts.” We share this expertise with our customers, allowing them to make an informed and educated decision regarding their individual needs. We offer facility managers, building owners and property managers a customized solution specifically designed to meet their needs. Our high performance restoration systems provide a dependable asset, with extendable warranties and lower life cycle costs. Our unique roof restoration systems have been installed and have performed well or years. Why continue throwing your money away when you can save on a metal roof restoration system and invest the savings back into your company? 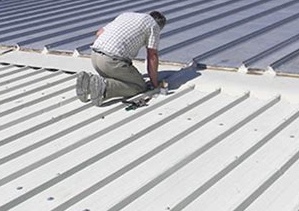 Call Armadillo Roofing & Exteriors today and take advantage of our Metal Roof Restoration System. Ask us for project profiles and testimonials featuring our successful projects and satisfied customers in your area. Great products can’t be successful without great applicators. We’ve developed a vast approved applicator network. Our ongoing applicator training programs benefit not just contractors, but also building owners, facility managers and tenants in protecting their property. In addition, we have the best technical service team in the field. When planning a total roof replacement, be aware you may have to shut your doors. That means that if you have your own business and plan to replace your roof, your business operations will slow down for a while, and that can cost you money and time. A great solution could be localized metal roof repair jobs, but that won’t solve the long-term problem. Who wouldn’t be happier if a long-term solution still exists? Odds are that you have this issue because you may have chosen a roof coating when it was last installed or repaired that was subject to degradation. Make sure you pick a silicone roofing product that is more durable than just acrylic roofing systems. Silicone products are also more environmentally friendly. They have a lower VOC and longer lifecycle, which reduces environmental impact. Sometimes products that are Energy Star compliant or approved by a local quality assurance program should have their numbers checked for comparison. This could be an ideal time to improve your building’s R-value. A silicone spray foam can improve your insulation from the outside, which reduces the impact on your property’s interior. Also compare the different silicone products your contractor recommends. We know that all metal roofing systems are not created equally. We are constantly working to improve our product selection and processes and monitor every project individually to make sure we’re delivering the highest quality possible and maximum adhesion during the process. If you are seriously thinking about investing a lot in replacing your metal roof with a new one, be sure to ask Armadillo Roofing & Exteriors (512) 333-7663 to speak to you first. There is a great possibility it can be renewed and restored by employing one of our high-performance Metal Roof Restoration Systems.